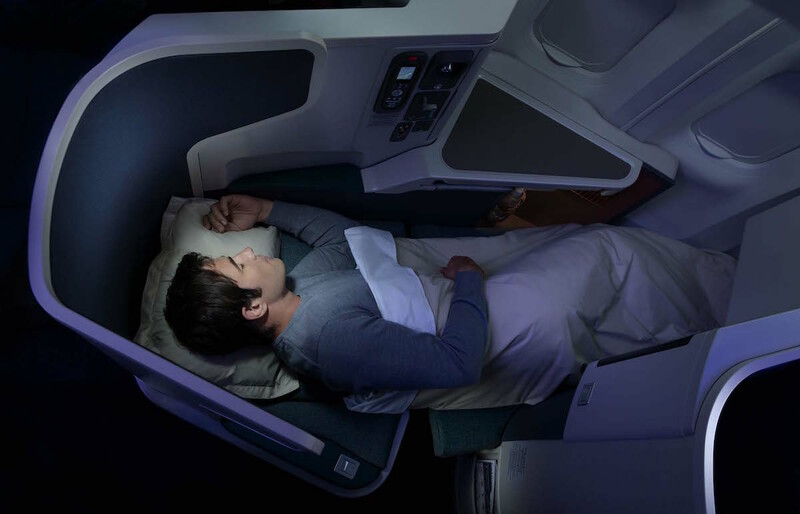 Cathay Pacific is known to be one of the most expansive airline company with a great service quality. This is the legend, but is it really that good? Does it worth the 20 to 40% extra charge compared to competitors? Let’s see. 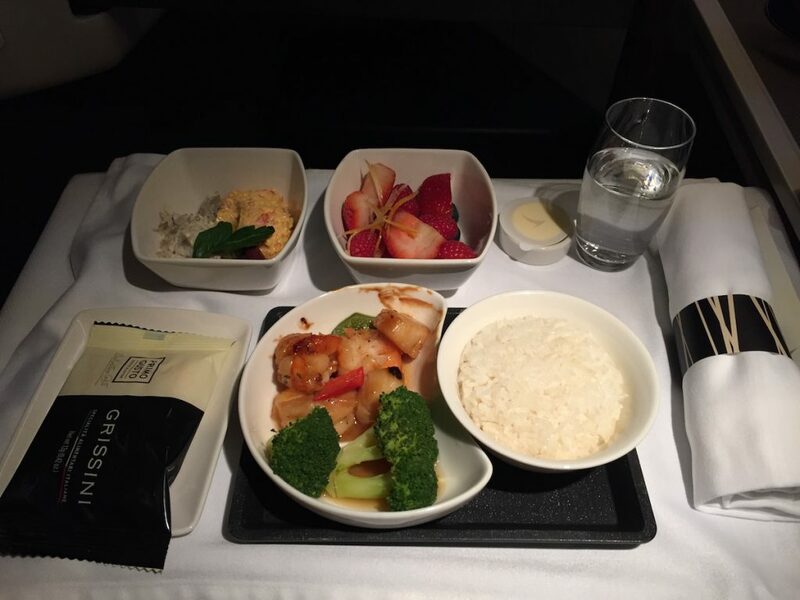 After a first experience some years ago with Cathay Pacific Business Class on a short haul flight, I decided to review it through a long haul journey between Hong Kong and Paris to see if it’s worth the extra money required compared to Air France or Emirati companies. The answer is… it depends. Depends on what you like, depends on what is important for you for a 13-hour trip and depends if you are used to business class or not. Lounge experience is also a significant point to consider, which you will find in a separate article (let me give a clue: it’s stunning!). Cathay Pacific was one of the first companies to propose a 1-2-1 configuration in business class with a herringbone seating, which helped to maintain its legendary reputation. Privacy, space and feeling to fly first class for its passengers! Today this layout is quite common in the industry but still up to date and it does the job: confortable fully reclining tissue seat, very convenient table for dinner, large touch screen, USB charger… One note however: impossible to watch TV in full-flat bed mode, the screen is so high that it makes video’s contrast completely dark. Also, an upgrade to noise-cancelling headphones would be necessary. 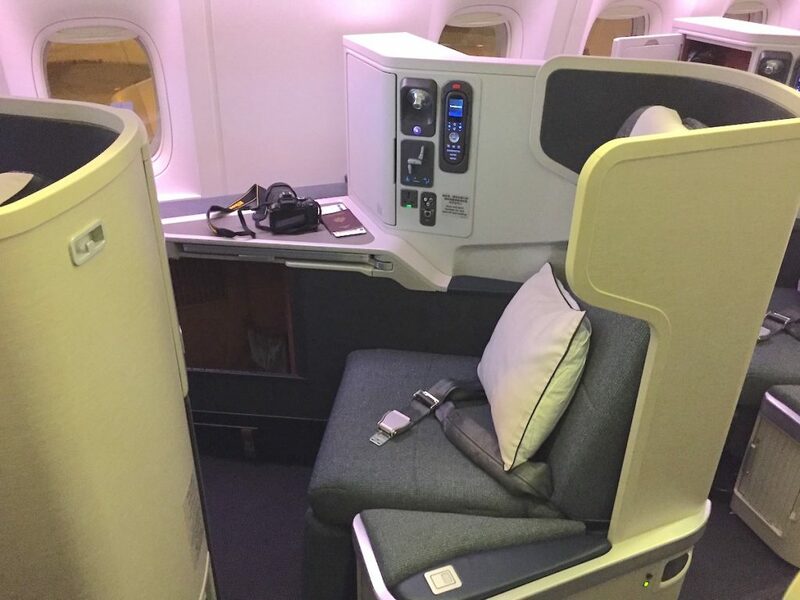 Regarding StudioCX, the Cathay Pacific entertainment system, it is incredibly efficient thanks to the touch screen and offers a large selection of recent movies, as well as dated ones (with a special focus on Marvel.. They are all available!). By the way, the whole cabin is very appreciable even if I especially recommend seats on window side for those looking for more privacy. I am used to pre-order food on business class with competitors, just to be sure I get something I like and that makes my flight more pleasant ; unfortunately, that’s not possible with CX. But the food & beverage selection I had was still nice, so I could enjoyed both my dinner AND my breakfast. Not bad, haha! One regret: Cathay Delight smoothie is supposed to be the signature drink of the airline while it was not available on this flight… Ok, next time! Crew service was faultless: greeted by name, proactively managed my jacket, served on time and quickly ; it fills all my expectations for such flight. HKG to CDG (CX261) | Night flight on B777 in August 2016. We’ve been loyal customers of Cathay Pacific for awhile now, and I’m glad to see them giving the same level of service every single time. You should try their First Class soon! I’m sure you’ll love it.